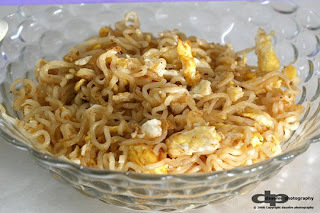 You can have very simple dish over there such as maggi mee. Yes, i am saying Maggi Mee. So what's so special about it? Well, have you ever had fried maggi mee in curry flavour instead. Although it can be done at home, but skills and timing always the essential part to make it delicious. The mee (which is actually refer to noodles) are fried with eggs and the noodles are not oily and noodles are not stick together at the same time. Admitably not many people can achieve such skills in a short time. Give it a try to believe me why so many workers there will possibly to have this continuously 1 week for breakfast and lunch. 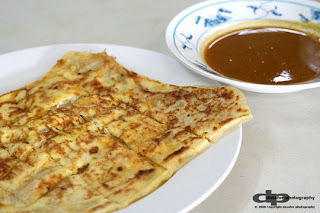 Another great dish served over there is their Roti Canai. unlike other places which they did it and when serve, it is very oily. This place however manage to handle the use of oil to cook Roti Canai nicely. Therefore, it is not that oily when having them and the aroma of egg within Roti Canai is just great. Dip with the sauce to give you different enjoyment for the meal. i think you guys left out the BEST of in miri in this canteen..LAKSA. i think it is the best in everywhere. Beside that, their noodle stall got serve wantan which is think is most cheaper (cost) wantan in town. Actually i already mention this before to you that posted on Miri Community Forum ..heres the link. This is somewhere near my mum work. So she will go there once a while when she is lazy to cook. I did went there sometimes when I go back..I think Laksa is not bad and their Mee sua also taste good. Somehow, I duno whether there still have that stall since that is few years back! thanks ds. i miss out that part maybe for some reason. i think i better revisit all my post soon. There is a mee stall beside Midas, there LAKSA is one of the BEST in MIRI. I eat there weekly. Aiyoyo! 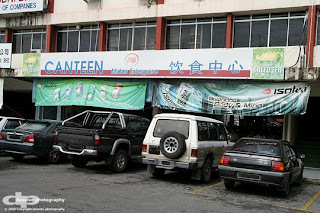 wat kind of Midas Canteen was that? i have being there yesterday, no foods r available there! the place there looks very unclean & dont know the foods there r clean or not & uncrowded, all r old people! Noted and see if they can do anything about it or not.